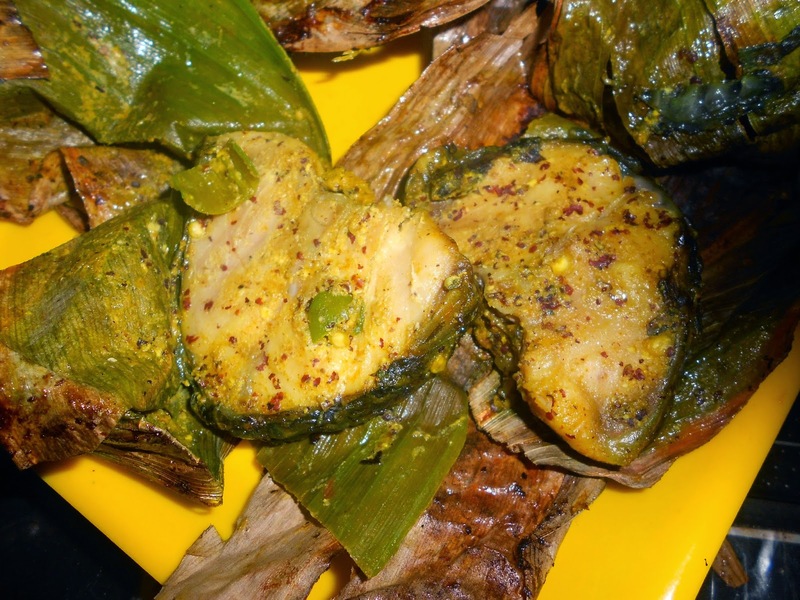 Few days back, I had posted the recipe for fried fish parcels using the banana leaf. 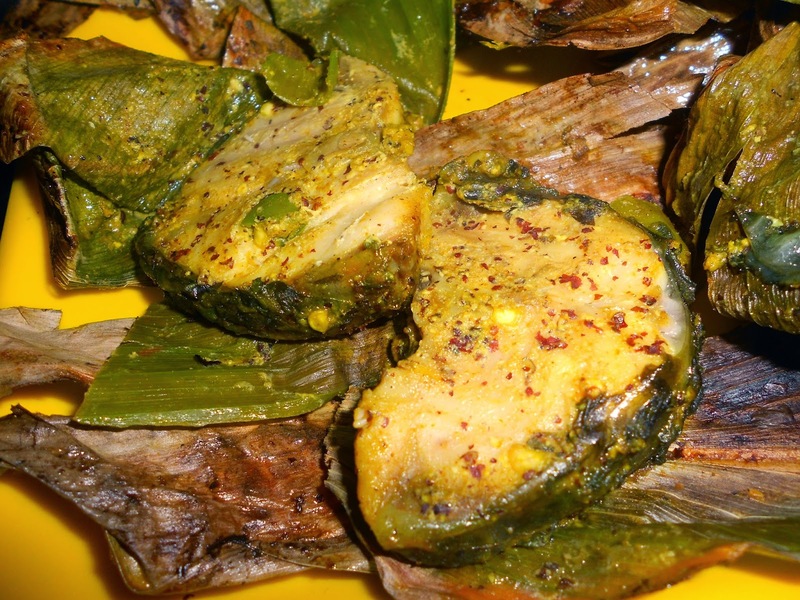 Loved the flavour that it imparted to the fish and wanted to try out the recipe using various other kinds of leaves like pumpkin, saal, etc which are generally used in the villages of Odisha. But since I could not get my hands on any of these, my Mom suggested that I give it a try with turmeric leaves. With Prathamashtami celebrated a few days back, some of these leaves were still lying in the fridge. I had eaten enough Enduri during the past week and so I decided to put these super aromatic leaves to a different use. Preparation - Wash and marinate the fish with salt, turmeric and mustard-coconut paste. Leave aside for 10 mins. Make a cross with two turmeric leaves. Place a piece of fish in the centre. Drizzle mustard oil over it and place 2-3 pieces of slit green chili. Close the parcel and secure it with a string. Switch off the flame and remove the pan. Keep aside for 5 minutes. Carefully open the parcels and discard the leaves. Note - For the mustard paste, the ratio of the ingredients is ' 2 tsp black mustard seeds : 2 tbsp freshly grated coconut: 4 garlic cloves : 1 green chili '.